Recording an album is an important step in setting yourself up as a professional musician. If you want to be sought after for your music, your design is an important role. So when it comes time to record an album, design your merch, or create a website...be honest with yourself, do you look for the cheapest OR the most effective graphic design out there? Have you used cheap design in the past and then realized how it has backfired? 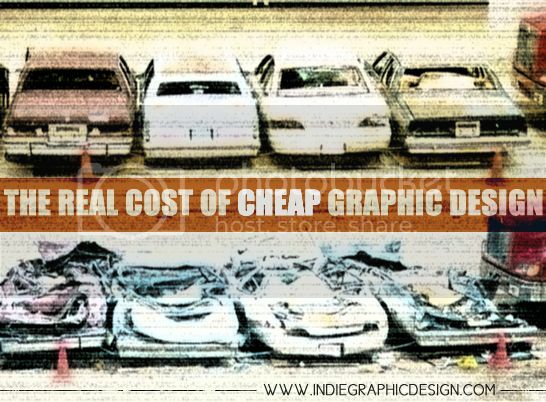 What precisely about cheap graphic design is the drawbacks? Cheap graphic designers are everywhere, from your bestfriend's sister, to your guitarist, to your uncle's girlfriend, you can reach out to inexpensive designers pretty much anywhere you look. The upfront price of using a cheap designer, may be really alluring, but there's usually reasons that these designers are so low-cost. With less incentive and experience in graphic design, these designers will struggle to powerfully represent your music so that you are seen as professionals. Most often what you'll get will look like no except images and text thrown on a page. Let's consider what you forfeit when you have cheap graphic design--the power to communicate your uniqueness, the power to drive people to your music, and most of all the power to be perceived as a professional. Let's consider a few of the deep risks involved in choosing cheap graphic design. After all the intense work you've put into your music, are you willing to risk your reputation as a professional? Is saving some change now worth the risk of blowing your initial impression with that radio station, A&R rep, or booking agent? Great music all over the world rots away on itunes, soundcloud, and shelves everywhere due to the lack of strong design. Your design is the number one thing that stands between you and your fans. With an understanding of the real cost and risks of cheap design, let's look at the benefits of selecting a professional graphic designer. Let's start off with the fact that professional designers are honestly a lot more affordable than you'd expect - specifically when you take into account the cost and benefits in the long term. A professional cd designer will make a major difference in having you be treated as a professional. The best thing about a quality graphic designer is that they know exactly how to communicate with you in a way that draws out your unique qualities. From that point, they very thoughtfully consider exactly the most effective way to visually represent your band so it makes people want to listen to your music. So, is it Worth the cost? So how much is quality graphic design worth to YOU? Remember, this is about more than simply paying for graphic design for your album, it is about being perceived as professional and driving people to fall in love with you. How you answer the question of design worth is solely dependent upon your understanding of this powerful tool and the strength of commitment to your music career. Hiring a great graphic designer that makes you memorable in the minds of your target audience and tempts them to listen and buy your music is much more affordable than you would think! At Indie Graphic Design, we specialize in you being perceived as a professional musician. Now you can get major label design at DIY prices. So begin driving people to your music at www.indiegraphicdesign.com. Also, Rockstar Mindset, a sister company, coaches bands across the world in how to be as successful as their favorite bands. Sign up for more great tips about the music business and a FREE 6-Day Booster Pack now at rockstarmindset.com.